" Pearce plays Katherine with a quiet strength and a keen understanding that since she has to play the game, she might as well get something out of it. Her Katherine, or "Parr" as she directs Henry to call her, is clever. She defines how her relationship with Henry goes, from the jewelry he gives her to when he is welcome in her bed. Her desire to nurture and educate his kids is real, as is her love for them. Pearce makes clear that Katherine's strength is knowing when she can be soft and when to use steel, even when it may go against her normal instincts." "Allison Spratt Pearce is a wonder of both toughness and cool self-control as Kate"
"As for Allison Spratt Pearce, nothing less than exceptional can be used to describe her performance. As Katherine she’s smart, witty, strong tough and tender at the same time." 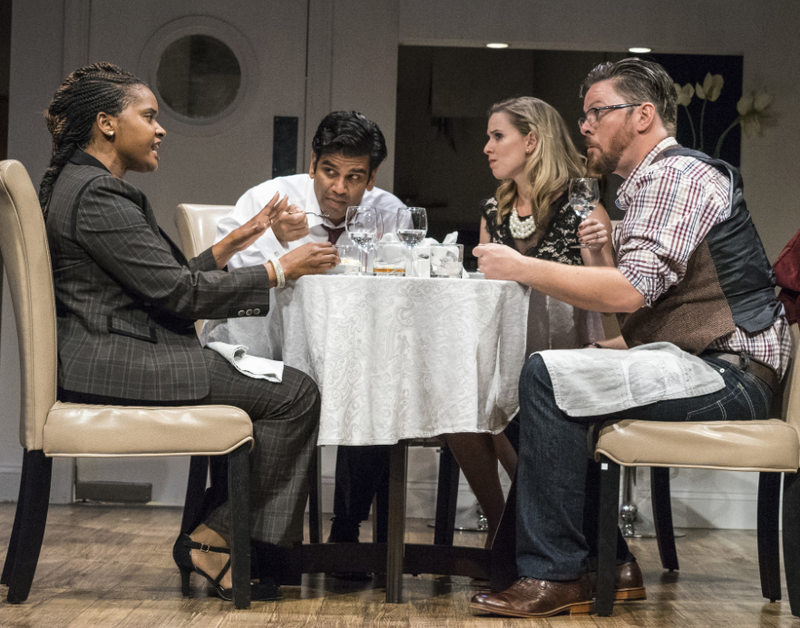 "Allison Spratt Pearce is strength and luminosity personified as Kate in an inspired portrayal that, as the play intends, reverberates with the here and now." "Allison Spratt Pearce (well known in these parts for terrific portrayals in the musical comedy genre) proves she is just as good when she doesn’t sing. It’s safe to say her Kate will be appreciated by all the women in the audience for her strength, humor, intelligence and determination — and also by all the men with any brains." "The ever-changing relationship is chilling, mainly because of the performances from Pearce and Fernandes. Pearce highlights Kate's ever-growing power... It's the stars' human touches that allow the pair to stand out." "Allison Spratt Pearce plays Katherine with a quiet strength and a keen understanding that since she has to play the game, she might as well get something out of it. Her Katherine, or “Parr” as she directs Henry to call her, is clever. She defines how her relationship with Henry goes, from the jewelry he gives her to when he is welcome in her bed. Her desire to nurture and educate his kids is real, as is her love for them. Pearce makes clear that Katherine’s strength is knowing when she can be soft and when to use steel, even when it may go against her normal instincts." "Pearce's Susannah is driven and focused, and her love for the history these songs bring with them shines through. Her moneyed upbringing is shown in her well-mannered reactions, and her ambitions. Her Susannah is empathetic and determined which makes her believable when she says things like, "When a person dies a library is lost," you can feel that she is truly sad at that lost knowledge. Pearce is also a talented singer with a lovely voice and is a worthy match to Wiltz's Pearl." " the central performance of Allison Spratt Pearce as Bryant has a whole lot to do with how well that comes off. Pearce has multiple Broadway credits and time after time has been a pivotal presence in local productions. Just when you think she’s about done it all, though, she mines fresh depths for a role like this, bringing subtleties of facial expression and movement to her conflicted character, as well as powerhouse vocals on such songs as the soulful “Anita’s Prayer.”"
"Diversionary does everything possible to make this show sing. 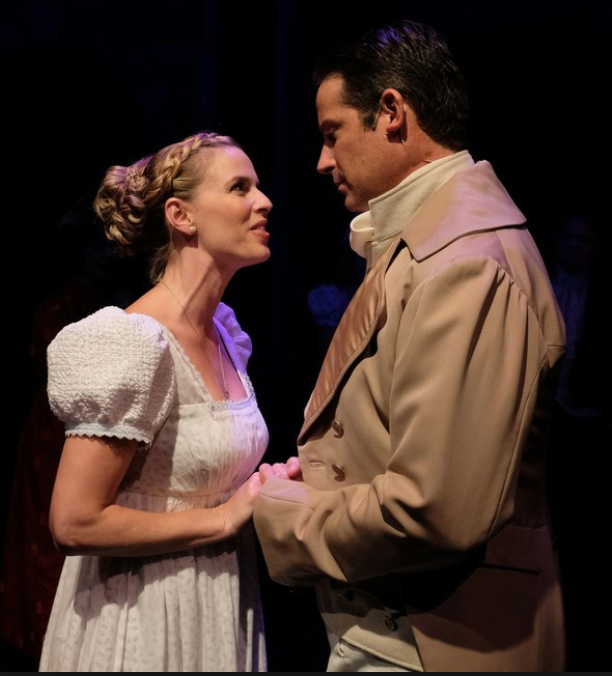 The production is excellent, with two outstanding leads — marvelous Allison Spratt Pearce, beautiful and pitch-perfect as Anita, revealing her to be a relatively sympathetic and definitely multi-dimensional character. Perhaps the show will serve to show how fanatics are born, which may help us understand our shockingly polarized country." "As Bryant, the gifted Allison Spratt Pearce humanizes without creating sympathy for a figure justifiably demonized by the gay community"
"Pearce conveys a deep sense of warmth and open-mindedness as Emily"
"Every acting student needs to watch Allison Spratt Pearce soar as Emily. Her physicality takes on a life of its own in each context, and it’s a joy to behold." 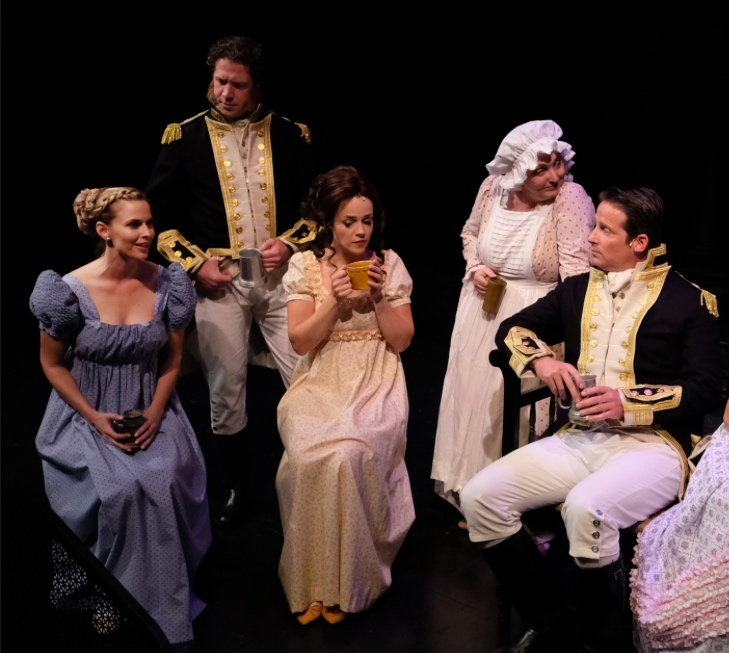 "Credit to expert work: Allison Spratt Pearce’s Emily, whose idealism gets a gut check"
"Allison Spratt Pearce, looking radiant, is most often seen locally in musicals. Here, she displays her formidable dramatic chops, in a natural and nicely nuanced characterization of misguided Emily." "Coming in as the supportive and loving, and yes naïve wife Allison Spratt Pearce is right on target with every emotion from authentic to unbelieving to crushed. Most often yours truly sees Ms. Pearce in musical theatre. While her voice is to die for, she shows her acting chops off as Emily with softness and believability." "Allison Spratt Pearce plays Judy, the divorced housewife who comes into her own as a working woman. 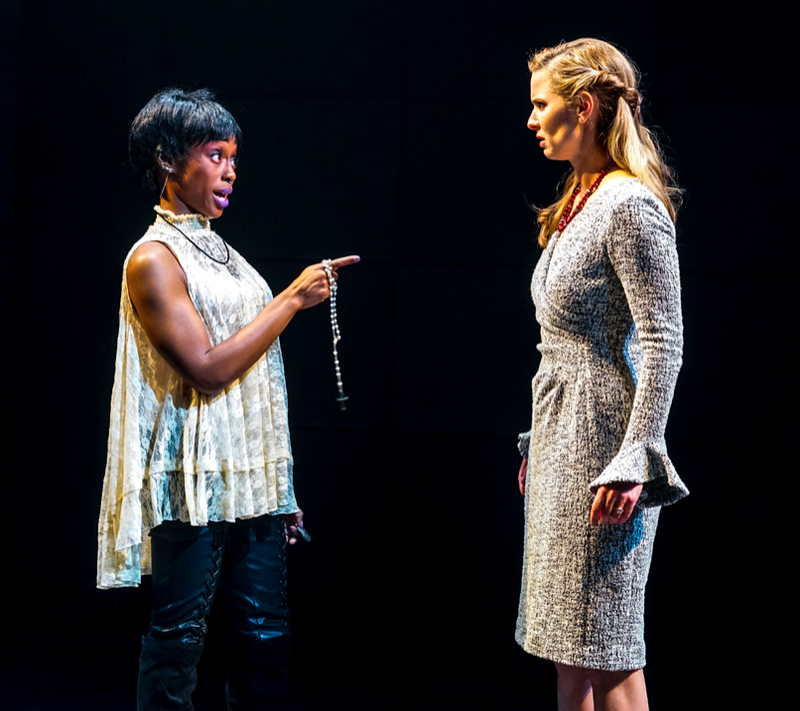 Pearce starts out quiet and mousy, then explodes on her ex-husband in the second act with the big finish “Get Out and Stay Out.”"
"Outstanding — powerhouse singers, able to create a compelling character and also move well. Triple-threats, all. Spratt Pearce is delightful as naive Judy.. 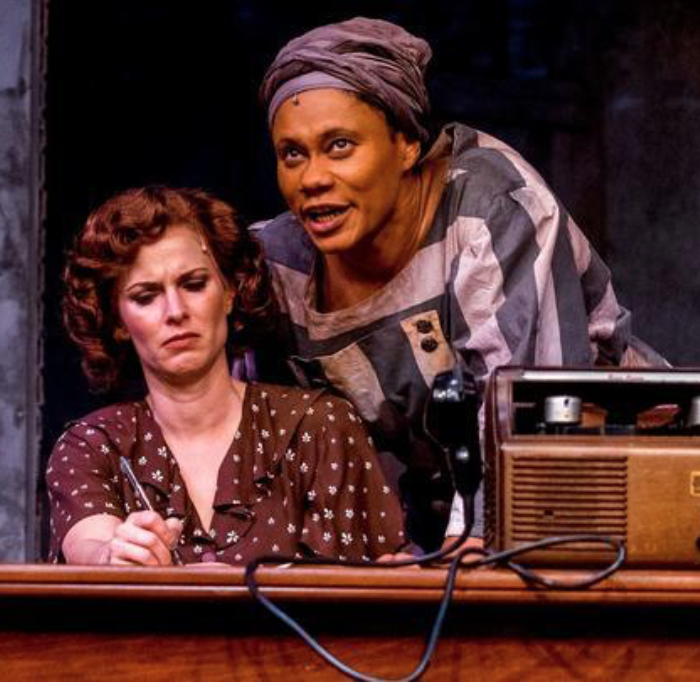 Her character has the most profound arc and, as in her recent transformation from Louise to Gypsy Rose Lee in Cygnet Theatre’s “Gypsy,” it’s a joy to behold. "Allison Spratt plays Doolittle, a role that requires an enormous arc both linguistically and emotionally. Spratt is effective on both fronts, making a smooth transition from nattering flower girl to society lady." "Allison Spratt is a luminous Eliza. Her progression from submissive flower girl to self-aware woman is genuine and endearing. She also has the most beautiful songs in the show and sings them as they are meant to be sung." "Allison Spratt Pearce sings the stuffing out of them as Eliza Doolittle, the scruffy London flower girl who blossoms into self-possessed elegance through the efforts of the uppity language expert Henry Higgins. 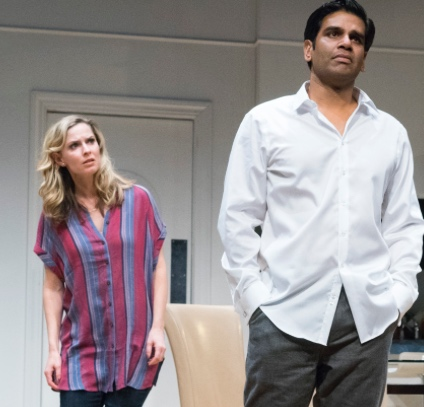 Pearce responds in kind with an admirable swagger, a quality that remains just below the surface even as she traces a convincing arc into the radiant and powerfully poised figure Eliza becomes. And Pearce seems to gently levitate as she unleashes her gorgeous rendition of “Danced” (and demonstrates her Broadway-honed vocal chops)." "The lady is some kind of terrific, too. Allison Spratt Pearces Eliza Doolittle is saucy, sympathetic and courageous whenever the character of the Cockney flower girl needs to be. Spratt Pearces singing is warm and expressive. Of course, a stellar Eliza requires an equally stellar Henry Higgins, and Cygnets production has that, too." "It’s all in the delivery. And the five performers in this comedy revue can deliver. Allison Spratt Pearce (no more Jewish than her name) is a terrific comic who, with a brown wig and a foul mouth, is a non-stop hoot." "Voice talent varies greatly in the singing, but for once, one doesn’t really care; it’s just all in good spirit. If there’s a stand-out in the cast, it’s Allison Spratt Pearce whose campy nature allows her to rise above even the lesser of the jokes." 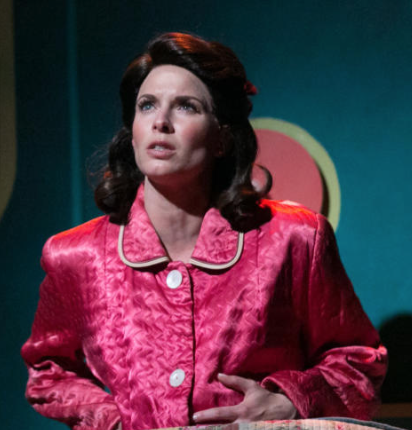 "Local musical comedy favorite Allison Spratt Pearce raises the musical level of the show several notches with her clear-as-a-bell soprano, and shows joke-telling props as well." "The acid test is bringing life to the less colorful likes of Jane Fairfax, ethereal Allison Spratt Pearce for once justifying everyone's extravagant praise and Emma's antagonism." 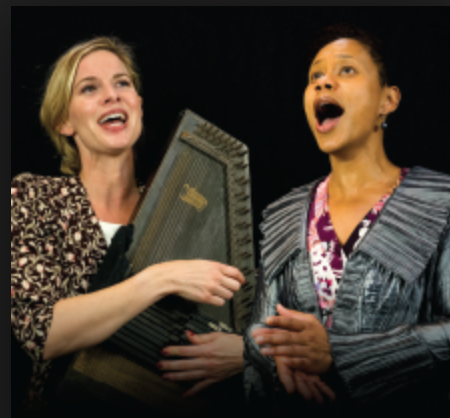 "From the very first sung notes in San Diego Musical Theatre’s “The Sound of Music,” you know you’re in for something special. As Maria, Allison Spratt Pearce (a 2012 alumnus of The Old Globe’s MFA Shakespeare program) is fiercely determined but warm and maternal as well. And she sings with fearless ebullience." "Allison Spratt Pearce (Maria) sings with such command she could flatten the back row of the Birch North Park without amplification. Pearce, sprightly and surefire, charms throughout." "Broadway veteran Allison Spratt Pearce as postulant turned governess Maria Raineris perfectly suited for her role.Pearce is delightful as the optimistic Maria who refuses to follow protocol when caring for the seven von Trapp children. Randall Dodge portrays the right mix of sternness that softens to compassion and love as Maria breaks down the emotional barriers he erected following his wife’s death years earlier. Both have beautiful singing voices and live their parts"
"Allison Spratt Pearce is both earnest and jaunty as Fraulein Maria, and her vocals are pure if not wowzer. " 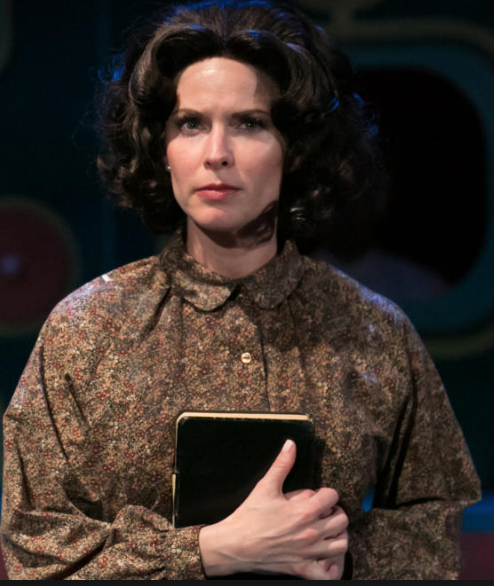 "Joyously inhabiting the role of the obstreperous postulant, Maria, is ebullient and irresistible Allison Spratt Pearce, an alum of the Old Globe/USD MFA program." "SDMT has assembled the finest cast I’ve ever seen for this show, headed by the very best Maria. Pearce’s gorgeous voice is equaled only by the completeness of her interpretation of the role, by which I mean the whole panoply of speech, subtle expressions and gestures that make us feel the emotional rollercoaster Maria experiences. It’s a stunning performance." "From the opening scenes of SDMT’s “Sound of Music” showing the young and carefree postulant Maria Rainer sprawled out on the mountainside, thinking about her life in the Nonnberg Abby (“The Sound of Music”) to the “So Long Farewell” number at the end of the production with a more mature Maria, instant mother to seven youngsters, this particular show has heart and warmth, sincerity and accessibility written all over it.Watching Allison Spratt Pearce’s Maria transform herself from the bewildered postulant unable to find a place for herself in the Abby to a young governess playful and childlike to a woman confused and in love to a mature adult is like magic happening right before our eyes. And let us not forget her beautiful singing voice that convinces and mesmerizes. (“Do-Re-Me”)"
"San Diego Musical Theatre’s production had me from the title number and held me enthralled through the last note.That’s because Allison Spratt Pearce, the Old Globe/USD MFA graduate who plays Maria, enchanted with her clear-as-a-bell soprano, her precise but not prissy diction (credit the excellent work of Musical Director Don Le Master), and a persona that inspires love at first sight. With Ms. Pearce you never wonder why all of the von Trapps, children and father, are immediately smitten with the aspiring nun who’s sent to care for unruly youngsters." 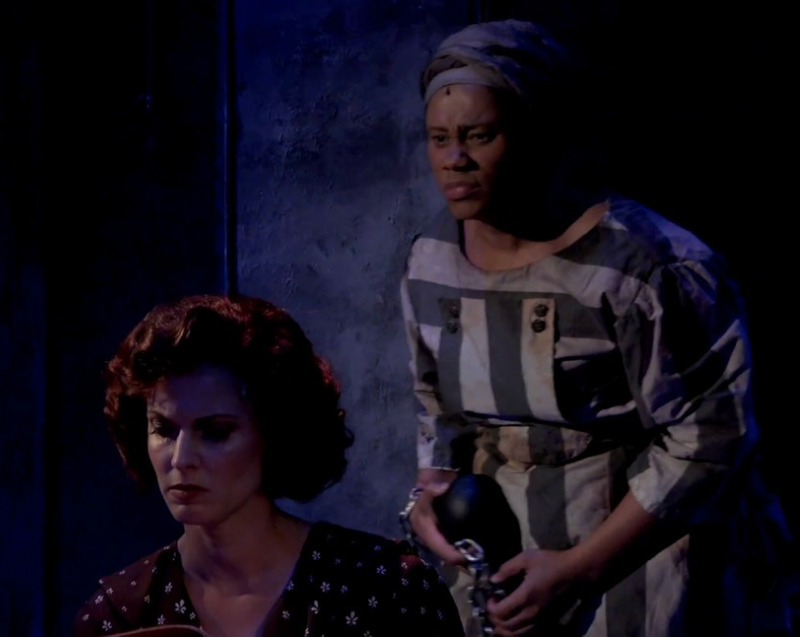 Viola in Twelfth Night at The Old Globe/M.F.A. 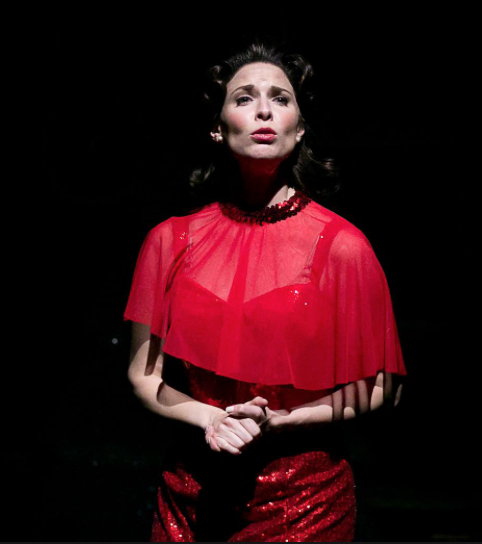 "Allison Spratt Pearce makes a splash, she brings a cool savvy to Viola." "Allison Spratt Pearce's plays a wonderfully perplexed Viola"
"Allison Spratt Pearce makes a howling comic foil as the love struck (by the dressed-as-a-man Rosalind) Pheobe." 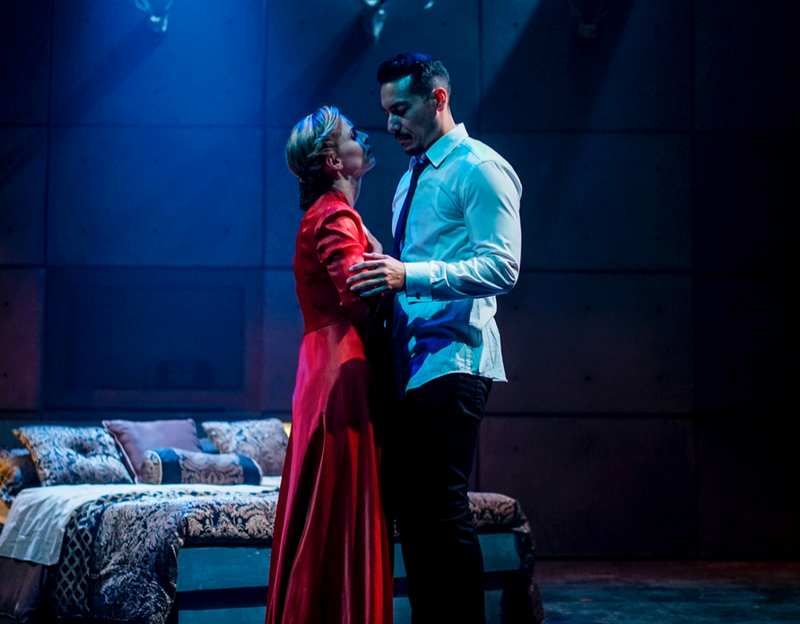 "There also are memorable performances byChristopher Salazar as the besotted Silvius, opposite a comically hotheaded Allison Spratt Pearce as Phoebe." "Several other numbers had the audience howling as well, among them a duet by Mr. Grisetti and Allison Spratt danced, as it were, on rolling office chairs." "Highlights include the opening number "David Kolowitz, The Actor," and "You," a love song composed entirely of lyrics from various standards."